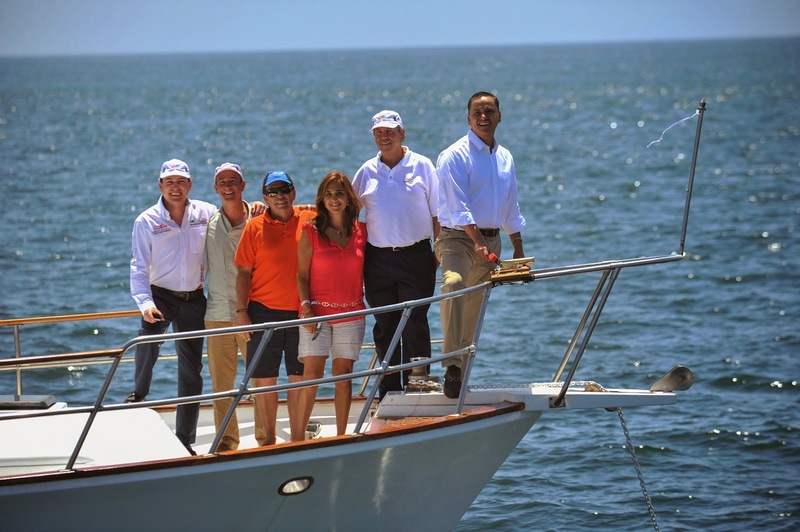 Roberto Sandoval Castañeda, Governor of the State of Nayarit, fired the starting shot for the regatta. The long awaited Third Edition of the 2014 Mexico Cup Regatta is finally here! Roberto Sandoval Castañeda, Governor of the State of Nayarit, was in charge of the traditional shot fired to mark the start of the race. “The Mexico Cup Regatta is a very important part of the overall tourism promotion of our state,” said the Governor. The Marina at La Cruz de Huanacaxtle, the most modern in the Mexican Pacific, beautifully showcased the natural beauty of the area and the warmth and hospitality of its inhabitants, both of which have made the Riviera Nayarit the host site of this itinerant event. “The people of Nayarit—especially the inhabitants of la Cruz de Huanacaxtle—have managed to consolidate this grand event. The tourists and the competitors who come to spend their money in the area—we’re talking a minimum of 80 million pesos—allow us to continue to work to help our people. We’ve fired the starting shot to the third successful edition of this event,” said Sandoval. The current regatta continues to break records, bringing in over 300 vessels from about two-dozen participating countries spread out over four continents, according to Peter Wiegandt, President of the event’s Organizing Committee. “We will doubtless continue to come to the Riviera Nayarit as the host region thanks to their incredible infrastructure, not to mention the climate, the 365-day-a-year winds that inspire sailors and, of course, the knowledge that we are so well received,” said Wiegandt. He mentioned the goal is for people to attend and realize there is no place better than the Riviera Nayarit for this type of events. He reassured the destination that he would be back in 2016, with even higher numbers of participants and looking to break even more records. Also present were Rodrigo Pérez, Secretary of Tourism for the State of Nayarit, as well as Marc Murphy, Managing Director of the Riviera Nayarit Convention and Visitors Bureau, as well as other important figures in the country’s top regatta. Results from the day’s competitions will be posted every evening from March 18th through the 30th. For more details on the winners please visit www.regatacopamexico.com.